November 19, The Iran Project – Just days after Baghdad rejected a US deadline to stop importing Iranian gas under fresh American sanctions, Iraqi President Barham Salih arrived in the Iranian capital of Tehran on Saturday (Nov. 17) at the head of a high-ranking delegation. Iraq has extensive trade ties with Iran and heavily depends on Iranian natural gas imports for electricity generation, while the US is pressuring regional countries to go along with Washington in “squeezing” Iran under new bans unveiled early this month. 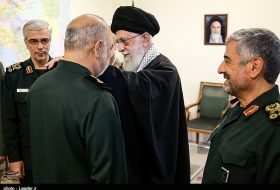 During his two-day stay in Tehran, Salih has met with several senior Iranian officials including Leader of the Islamic Revolution Ayatollah Seyyed Ali Khamenei, President Hassan Rouhani, Foreign Minister Mohammad Javad Zarif, Intelligence Minister Mahmoud Alavi, Head of Supreme National Security Council Ali Shamkhani and Parliament Speaker Ali LArijani. The Iraqi president received an official welcome from his Iranian counterpart in Sa’adabad cultural and historical complex. Following the official reception, the officials held bilateral talks on a wide range of issues including electricity and gas swap, as well as cooperation on petroleum products and oilfield exploration and extraction. He highlighted that Iraq would never forget Iran’s support in defeating terrorism in the country. Also, Iranian President Rouhani stated that the current economic transactions between Iran and Iraq stands at about $12 billion, which can be boosted to $20 billion with further cooperation. 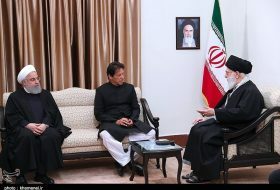 He further noted that the two sides conferred on regional issues, saying the two believed that stability and security in the region will benefit all people, and there is no need for foreign interference in regional affairs. 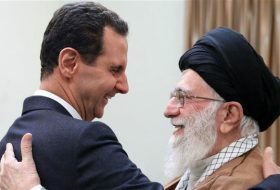 The Leader said the Iranian and Iraqi nations have deep-rooted, historical and remarkable bonds and hailed the Iraqi government and people’s hospitality towards Iranians during Arba’een commemoration, which marks the 40th day since the martyrdom anniversary of Imam Hussein (PBUH), the third Shia Imam. 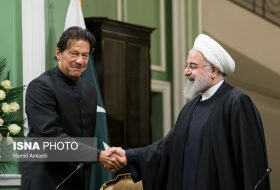 During the meeting, which was also attended by Iranian President Hassan Rouhani and Foreign Minister Mohammad Javad Zarif, Salih said he carries a clear message that nothing can change factors linking the two nations. The Iraqi president stressed that Baghdad seeks to expand relations with Tehran in all sectors in line with common interests adding Iraq would never forget Iran’s help in the fight against Takfiri terrorism. He expressed hope that Iraq would be able to enjoy Iran’s cooperation and capacities in the reconstruction process of the country. Ali Shamkhani, in a meeting with Iraq’s president, hailed the “deep and strategic” relations between Iran and Iraq in the political, economic, social and cultural arenas. 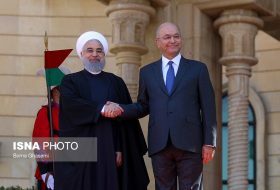 or his part, Salih expressed gratitude to Iran for its support for the Iraqi nation in the battle against terrorism, saying the two neighbors enjoy strong bonds in various fields. 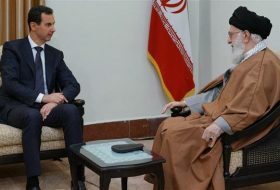 He also voiced Iraq’s opposition to the “illegal sanctions” aimed at weakening other countries, stressing that Baghdad will vigorously counter any foreign attempt at harming the unity between Tehran and Baghdad. 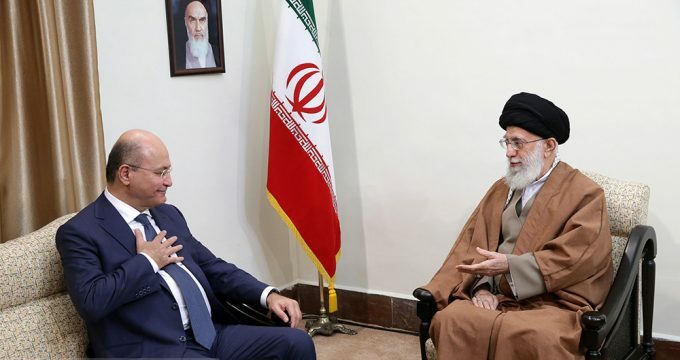 In another development, FM Zarif expressed his delight at the current visit by Iraqi President and his accompanying delegation to Tehran, saying Iran and Iraq are committed to win-win cooperation. 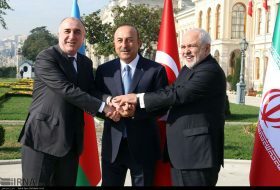 “Constructive exchanges on next steps to work together towards regional peace & security,” Zarif said in a post on his official Twitter account. “Strong, shared commitment to win-win in all neighborly relations. Our priority is our region,” he added. In a meeting with the visiting Iraqi president, Larijani hailed unbreakable bond between Iran and Iraq, saying that efforts to separate them are futile since many circles in both countries have become operational. Iraq’s enemies attempted to create another problem for it by creating Daesh, he said, noting that the group was destroyed and the enemies failed in this respect, too. Salih, for his part, expressed pleasure with his visit to Tehran, hoping that bilateral ties will bolster through mutual cooperation. This is Salih’s fourth regional trip and the first one to Iran since taking office on October 2. He has so far visited Kuwait, the United Arab Emirates, and Jordan in his capacity as president. 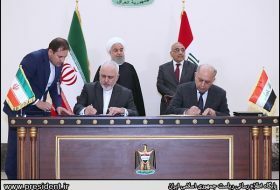 Tehran and Baghdad have shared a unique alliance since the ouster of the former Iraqi dictator Saddam Hussein in 2003.